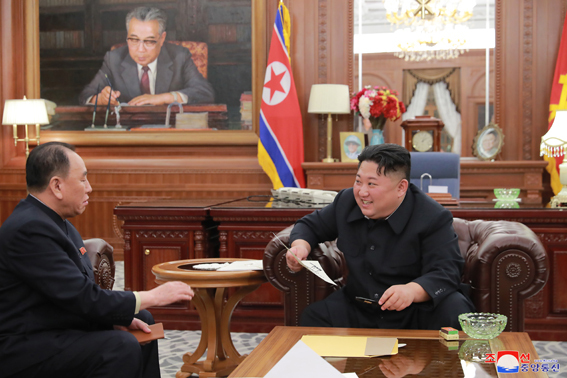 Kim Jong Un, Chairman of the Workers' Party of Korea, Chairman of the State Affairs Commission of the DPRK and Supreme Commander of the Korean People's Army, met the delegation to the second DPRK-US high-level talks that had visited Washington DC of the United States. On January 23, he met the members of the delegation led by Kim Yong Chol, vice-chairman of the WPK Central Committee, and listened to the results of the visit. He was presented by Kim Yong Chol a personal letter of President Donald Trump of the United States of America. Upon receiving the good personal letter sent by President Trump, he expressed great satisfaction. He said that we will believe in the positive way of thinking of President Trump, wait with patience and in good faith and, together with the US, advance step by step toward the goal to be reached by the two countries of the DPRK and the US. 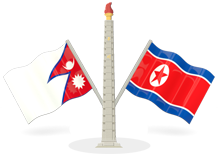 Expressing satisfaction over the results of the talks and activities done by the DPRK delegation in Washington DC of the US, he set forth tasks and orientation for making good technical preparations for the second DPRK-US summit high on the agenda.